Today is the first sunny day in ages and I’ve already gotten a ton done. Well, not really a ton but I fixed a paragraph that was really buggin’ me. I’d been deep in 12 when I realized I’d gotten off track. I retraced my steps to the last thing that felt right and I found myself at that crappy non June-feeling paragraph in 10. I have until about 9 tonight to work uninterrupted so I’m hoping I can keep rolling through small fixes in 10 and 11 and get back to 12. Mike and his incredible mango are along for the ride. I plan on waiting until I finish the last few chapters before I send anything else to my editor. I’m really close now. Total word count should be between 30 and 40K. 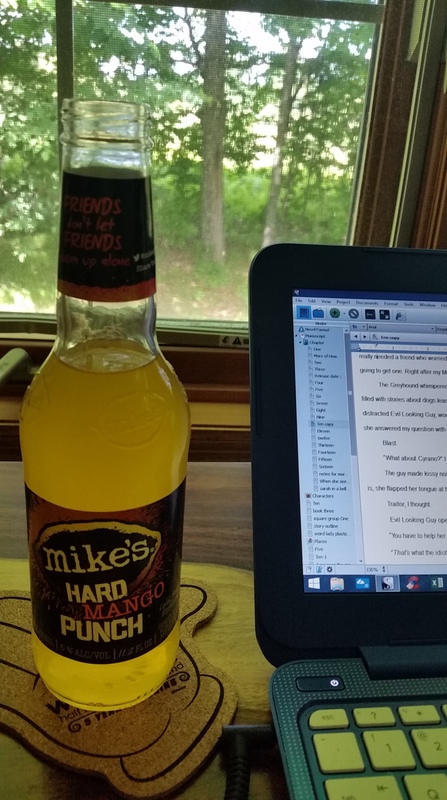 This entry was posted in Inspiration and tagged mike's hard mango punch, north woods, novel, rainy days, writing. Bookmark the permalink.